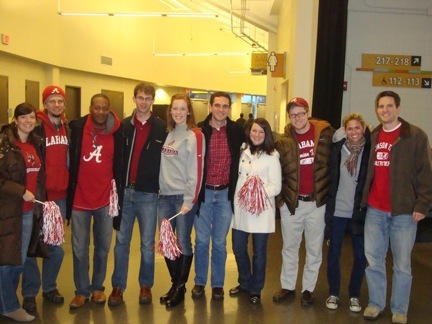 Members from both chapters converged on Providence to see the Tide's men's basketball team. Nearly 50 members of the Greater New York and Boston Chapters took a road trip to Providence R.I, to see the Crimson Tide men's basketball team take on the Providence Friars at the Dunkin' Donuts Center. The Alabama faithful were treated to a competitive game through most of the second half but Providence pulled away in the end, topping the Tide 82-70.